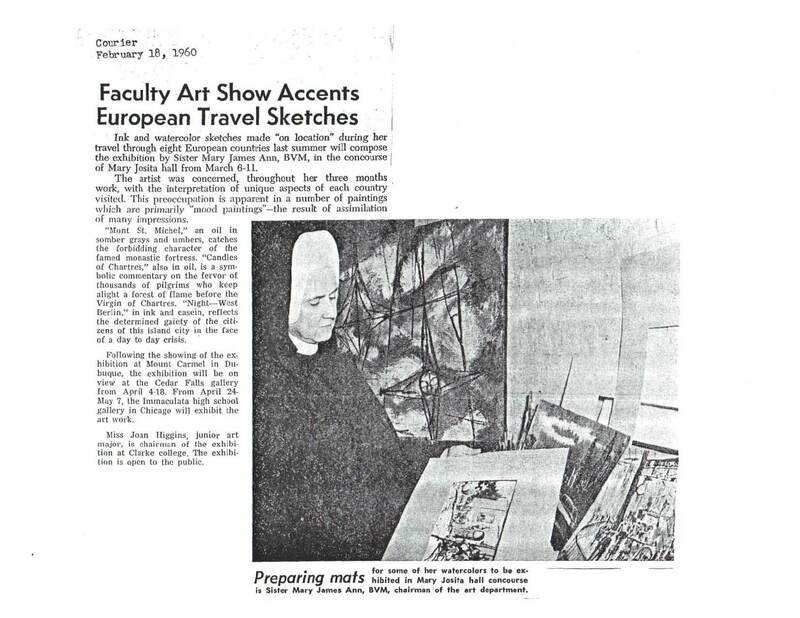 According to the BVM Vista article”Join a Sister Artist” my aunt and a group of her students traveled to Europe to conduct a sketching tour. 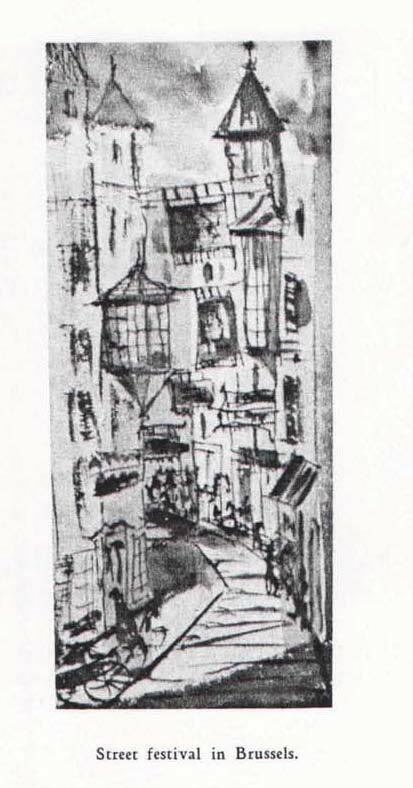 This trip inspired many of her most commented on work – paintings I have been unable to locate. 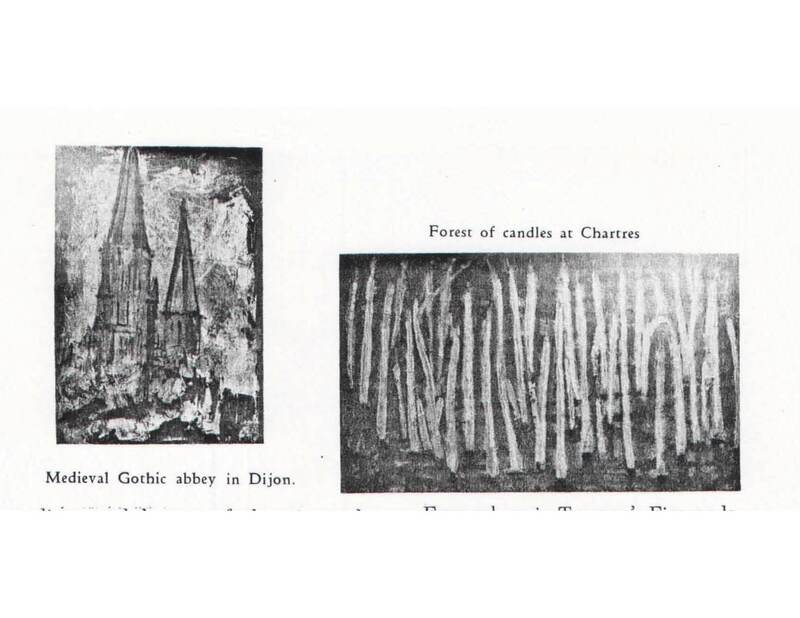 Two excerpts from the the scan of a photocopy of an article! Hills of Assis, Street festival in Brussels and Canal in Amsterdam. I am not sure if these are the actual titles or just captioned as such for this publication. I know they have to exist somewhere! Click on the hyperlink above to view the whole article.